Sofia, a tough young director, reunites with her father. He has spent a lot of time in prison and his life is marked by addiction. His biggest sorrow is that he lost Sofia. Her biggest hope is that she can help him and repair broken bonds. When Steffan's mother died, he felt nothing. No sadness, no relief. How did it come to this? Director Steffan Strandberg tells his story of growing up with an alcoholic mother, and the night that changed everything. Following a daughter, wife and mother as they lead the political party Golden Dawn through the upcoming elections. 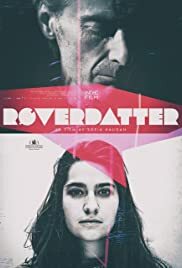 A foreign filmmaker, invades the life of her neighbour Bjarne who unwillingly becomes the main character in a documentary about himself. A final meeting with the life affirming Per Fugelli, which wasn't afraid to speak out on behalf of the weak. A man called the wisest man in Norway died in September 2017, but here's his legacy. A short about Ingmar Bergman's power, sexuality and facial lipoma that gives him no rest. Sofia, a tough young director fresh out of film school, reunites with her father. He has spent more time in prison than out of it and lives a life marked by addiction and criminality. His biggest sorrow is that he lost Sofia. Her biggest hope is that she can help him on his feet and repair broken bonds. With their characteristic dark humor, they fight for truth and friendship against grinding addiction and a system that is meant to help them. A fantastic and amazing movie. The movie portrays a powerful father/daughter relationship, and shows the strength of a woman that will fight against all odds for her father. She shows a vulnerability, and a intimacy that I have seldom seen in a documentary. The way she doesn't accept her fathers sometimes irrelevant excuses, and the way she doesn't back down from her father during one of his rage fits. It shows a certain kind of strength, and courage. Her tears shows how hard the battle can be, but also how though she is. Being a child of an addict is hard, and not everyone can show this type of vulnerability with that background. Sofia shows that she is more than her background. She portrays both the battle the "children of" often experience, and the battle the addicts goes through. In addition to that, she illustrates the hope many people have when their loved ones succumb to drug abuse. It is though for all next of kin, but especially for "children of", that might end up with the parental responsibility their parents normally would have. She depicts the vulnerable side to her father, and shows addicts as a human being. A human being with their own hopes and dreams for the future, and not just a characterization of a problem. 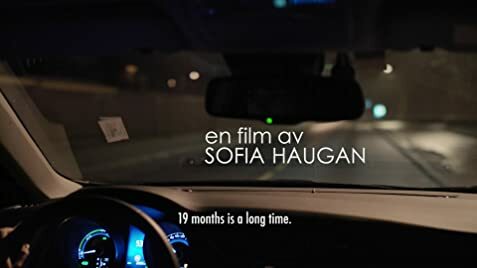 A lot of the challenges we have in our society is emphasized in the movie, when Sofia has to fight a bureaucratic and exhausting system to help her father. In a society where the drug politics have failed our citizens. A national problem, and definitively, an international problem. Hopefully this movie will create a debate both national and international. A debate about the people which lives have been affected by drug use, and the addicts that have been, and are, forsaken by our governments.